A CHOCOLATE Giveaway...because a girl can't live on cookies alone! This is really exciting! 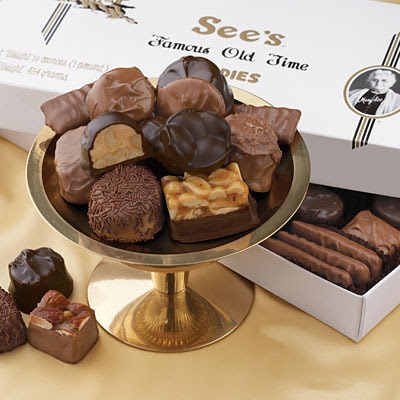 The wonderful people at See's Candies are offering a $25 gift card to one lucky Bake at 350 reader!!! Yay! Go on over to their website and check out all of their chocolate candy! ...and I think these are SO cute! I'd love to keep a little stash of chocolate & cafe latte lollypops in my purse in case of emergency!!! These are so perfect for St. Patrick's Day! 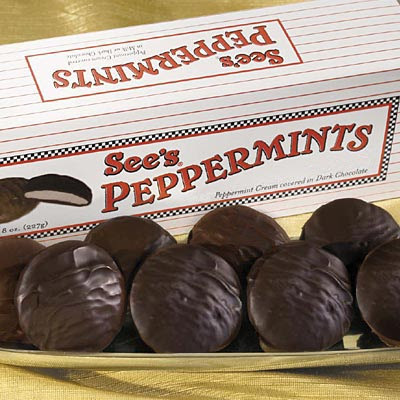 Then, maybe I'd finish with See's dark chocolate peppermints. This is fun! OK...to enter, go to See's Candies website, leave a comment, and let me know one thing you would chose if you are the winner. (I won't hold you to it...you can change your mind!) Be sure your comment has a link to your blog or an email address so I can contact you if you win. Drawing will be held next Thursday, February 26th at 8pm central. I would definitly go for the Milk Chocolate Nuts and Chews. I love nutty chewy thing! CUSTOM MIX! a little of everything for me please. Oooh, I choose marshmints. I mean chocolate, marshmallow, and mint mixed altogether. Good times! 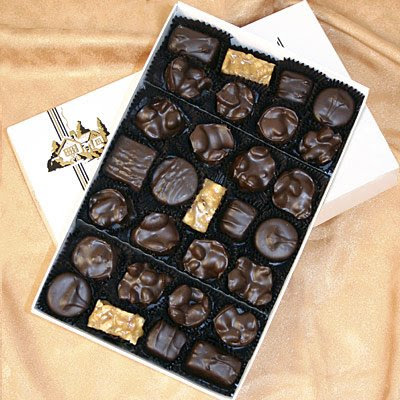 I know my dad would would go for the peanut brittle, but I would go with the dark chocolate assortment. Those St. Patrick's Day Potatoes are pretty cute too. I think the chocolate with soft centers sounds best. I'm intrigued by those molasses ones, though. They sound yummy. Cool giveaway. So you like the dark chocolates. I'm with ya though I'm not big into chocolate. Oh I miss See's candy so much! We don't have one here on this side of Idaho! Phewy! I love it all so I don't know what I choose. Probably a box of mixed anything! The vanilla fudge is also very yummy!! I also love you blog very much! 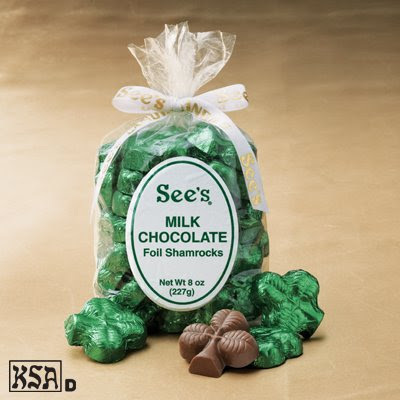 I love the chocolate covered peanut brittle but those shamrocks are sure pretty cute! I love those caramel lollypops!! I could eat a whole box. Anything that involves dark chocolate! Yum! I usually get the Nuts and Chews, but maybe it's time to try something different! I would get the dark chocolate nuts & chews the shamrock chocolates are pretty cute. My husband loves the english toffee so I might have to get that! I would HAVE to get a custom mix because I just can't decide! I like the assortments just because I like a variety, but the little leprechauns are pretty cute! It's so hard to pick! However- I think I'd go with the custom mix of carmel and almonds! Yummy! I definitely want to try the truffles!! I would get a custom mix including LOTS of caramels including the Scotch Kiss! Yummm!!! I would have to go with the dark chocoate nuts and chews too! Mmmmm... definitely nuts and chews for me! give me anything with mint and chocolate in it. wait, let me rephrase, give me everything with mint and chocolate in it! mint crispies or peppermints - i want them all! Yum! I would choose the peppermints! What a fun giveaway! um, can I choose everything?!? really, if forced, I would choose the truffles. yum! oooooh Chocolate!! I love caramel with chocolate, mint with chocolate! I would really like the milk peppermints! Yum!! I would start with the truffles. They look sooooo good. I am a truffle freak and my waistline shows it. Oh my-I hope some people use chocolates in our the contest going on at my blog....I am not a choc. and nut lover(i Know, I am the only one) so chews for me. I love See's candy! I would love anything with Chocolate and Nuts! Yummy! Oh I love their Nuts and Chews...almonds, california brittle, scotchmallows, peanut butter crunch...oh I can't stop! These are the best candies I have ever tasted...Im on my way to the website right now! I'd get the Dark Chocolates. I would get a box of just dark Chocolate with Raspberry Cream centers. I *heart* them and haven't had any See's since I moved from CA a few years back. With all of that chocolaty goodness, it would be very hard to pick just one. I have a feeling though that if I was lucky enough to win the "prize" it would be shipped to one of my two college aged daughters in a care package. I might sneak a bite for myself before it was sent! I might try Dark Chocolate Bordeaux. But the peppermint patties are a yummy DC classic. It's hard to choose, I'd have to go with a custom mix. The only problem is that you're limited to only 10 choices!!! The Saint Patrick Day shamrocks! I can't choose...but truffles? Yum. And the caramel lollies? Oh lord. Nice giveaway, my fingers are crossed!! I'd go for the Peca Buds. I love nuts with caramels! Any of the truffles - yum! My former boss used to give us each a box of chocolate truffles each christmas. They are wonderful! Wow, it would be too hard to choose, but I would have to go with the lollypops! I love "nuts and chews" but the lollipops also sound great. I would have to go for a box of truffles - I love them, but those peppermints are good too! I came by from your neighbor Kristen and I am totally drooling over your recipes!! If you ever have a chance, come by my blog on a Friday and link up any of your chocolate posts! Custom mix...oh I love their candy. It has been a long time since I have had it but could almost taste it looking at the pics. Ummm... milk chocolate butter cream, I can feel my hips getting bigger. I just found your blog sste from We Are That Family's blog and I can't wait to check it out. I love baking!!!! I made heart cookies for valentines gifts (they didn't look as pretty as your though). I went and looked and decided that I couldn't decide on just one thing...the Shamrock chocolates are so cute but the truffles sound amazing. Hopefully I will win and have to make up my mind!!!! I'd buy St. Patrick's Day Potatoes for my family :-) I saw you on We Are THAT Family!!! I thought the picture of the cookies was some stock photo - not really something a real person was capable of accomplishing - lol. Good job! Oh man See's candy brings back such great memories. My parents would get a box for Christmas every year from a business contact. She would let us pick out ONE, yes ONE, piece and the rest was hidden. She still loves it to this day. At the time I didn't understand that at all but now that I am a mother...I soooo get it! 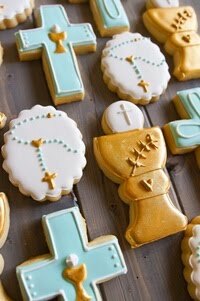 Great blog and great looking baked goodies!!! Dropping over from We Are THAT Family. I visited SEE .. I have NOT seen that name in a loooong time .. but I love the lollipops. My aunt used to bring a box of See's lollipops with her when she visited from California. They're good but I would have to say, "Give me chocolate!" Truffles, the dark chocolate assortment, or the ones with soft centers. Oh my. We only get Sees around here one time a year. And their peppermints are to die for. Thanks! I just put your blog on my reader. Came to your blog through "We Are That Family". Thanks for a chance to win. I love peppermint patties, so that would be my choice. The California Brittle looks amazing! I would love to taste that!!! See's Candies has been a staple in my family since I was itty-bitty! We LOVE their stuff! Hands down, I'd be getting the Marshmints! Oh, See's candies are the BEST! Came over from Kristen's blog, what a cute story of bloggers next door. I love that. OK, for the candy, I would probably choose an assorted box of chocolates or one of the toffees. Can't go wrong with See's. What a pretty blog you have! Come by & see me sometime. What a great give away! I am new to your blog and I am loving it! You are very talented. This is what I would get Dark Chocolate Bordeaux, mmm, they sound yummy! Cafe Latte lollies all the way! What a great giveaway! Always nuts and chews! I am so excited to find your blog (via We Are THAT Family). My daughter and I love baking. I think I'd have to get the dark chocolate nuts and chews also. I like this candy; my fil sent me some once. I love dark chocolate. So nice to meet you! Any friend of THAT family is a friend of mine! totally jealous that you live next door to each other! dark chocolate soft centers. never ruin a good chocolate with a nut. Oh that's hard to choose, they all look wonderful! I would probably pick the truffles. Thanks! Look forward to reading more of your blog. Oh those See's lollypops. I adore them. ADORE. Simple, dark molasses chips and a box of truffles. Nothing better than those two. I would love the chocolate and cafe latte lollipops! What a cute blog you have!! Oh wow... How lucky am I?!?! I just found you through We Are That Family, and I come to check your blog out and the first post I see is CHOCOLATE! Being given away! Ok, the snow didn't really melt... But still... Sweet! no pun intended. Oh my sweet deliciousness!!! You can do custom mixes!! I don't eat nuts, and this is just a fabulous discovery. 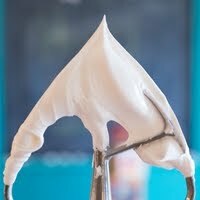 I'd fill a mix with dark butterchews, scotchmallows, milk molasses chips, gingers, dark buttercreams.... oh this is good! See's is the best chocolate ever. I love it and I've never found anything to measure up. I would get the assorted chocolates, no variety for me, just chocolates. And truffles with any credit left over. Thanks. I would choose truffles or peppermints...maybe both! I love peppermint - so I think I would have to go with those. Peppermint and dark chocolate, yum. OOOOHHHHH, I have a passion for chocolate, it is so hard to choose! I think I would have to go for the Truffles. I hope I win, its my b-day Friday, what a great gift that would be! Eck I think I would drool over anything over there! But the nuts and chews look so FAB! THanks for the chance to win some chocolate! A girls gotta have soe CHOCOLATE!!!!!!! Ooh, I would get the dark chocolate nuts and chews, too! And then spend the rest on Scotchmallows! Yum! Just found your blog through Kristen's We Are That Family. 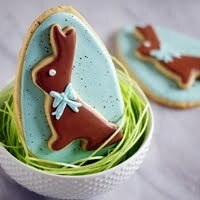 I LOVE your site and have been drooling over all the delicious creations! I think the mint patties look so good! I would have to say the molasses chips. LOVE those!!! I think I would get the Pecan Buds. 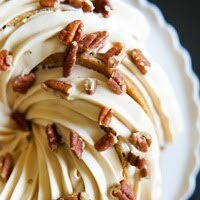 I am all about the pecans! I would get anything in the milk chocolate line--esp. the buttercreams or the solids in St. Patty's day shapes--clovers or leprechauns! My uncle would send a box of See's truffles every year for Christmas. My whole family would sit around the box and devour them in one sitting. They are soooooo good! I think I'd have to go for the truffles, although the shamrock chocolates would be too cute for my daughter's birthday party. She's a St. Patricks Day baby. Hmmm...I love it all, but my favorite are the truffles (especially the dark chocolate chip truffle) and the peppermint patties. My mouth is watering just thinking about it. Yum!!!! I would want a mix of everything. If I had to pick it would probably be the milk chocolate soft center ones! I found your blog throught We Are THAT Family today... and you just happen to have a giveaway! I would get the assorted peppermints, the box of truffles, and the chocolate hearts. I want to try everything but am willing to settle on these few. Gosh....it all sounds and looks tastey! Think I'd get the California brittle. I remember the See's Pepppermints from when I was child. My daughter would love them. I'm here from We Are That Family! So glad to find your blog. 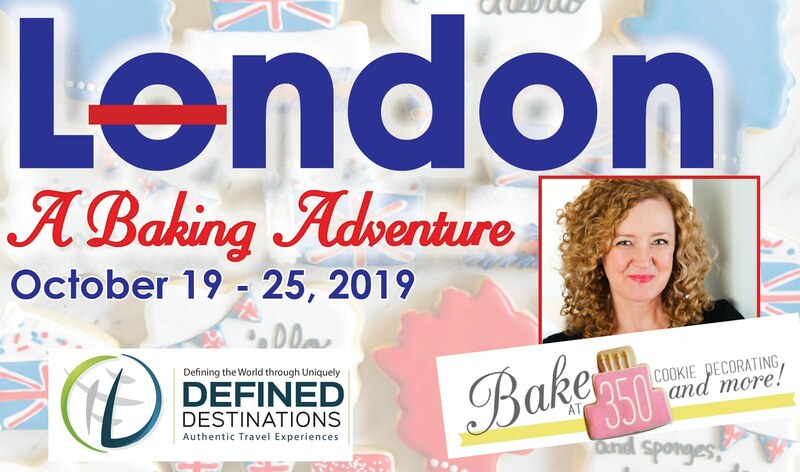 I love to bake & am always looking for inspiration. Thanks for the chance to win! We don't have See's in Indiana, but did in Oregon. I miss it. My favorites are Walnut squares, vanilla nut cremes, bourdeaux & mint truffles. I love See's Candies. It reminds me of visiting my husband's grandparents 10 years ago because they always had See's Candies peanut brittle in their house. I love the Milk Chocolates. Oh the suckers are my absolute FAVORITE. Yum. Plus we don't have Sees here so I usually have to con, I mean ask nicely, my aunt and uncle to ship them to me. I would get a custom blend 1 lb. box. the toffee ettes are my all time favorite. My mother-in-law always gets us a tin of those for Christmas and we usually have them eaten before we leave to come back home. LOVE THIS GIVEAWAY! Hi! Visiting from We are THAT family. Someone gave us a box of the lollipops when my daughter was born. Nothing helps newborn nursing easier than a latte lollipop! Unless it is straight up dark chocolate... which would have to be my choice. I would definitely have to create my own box of candy and include truffles and anything with dark chocolate and nuts! Yum!! I would have to go with you on the dark chocolate nuts and chews. I love See's Candy. The Easter Ribbon Box is sooo pretty! And yummy-looking. But I wouldn't say no to a box of truffles... You're right, this IS fun! Milk Chocolate Buttercreams look too good. And the Dark Chocolate Nuts and CHews. :) Love your baking Hostess Cupcakes! Oh, yum! Just found you at That Family. I'd have to choose the dark chocolate soft centers. I can smell'em just thinking about them. It's a toss up between the peppermints or the truffles. Oh how I LOVE chocolate! I would LOVE a box of the mix chocolates! Yummy, I'm pregnant and chocolate sounds DEEEELICIOUS! I love nuts with chocolate! It would be either the Pecan Buds or the Milk Chocolate Peanuts! YUM!!! Found you through "We Are THAT Family" and I absolutely love your blog! Great cookies! I can't believe how professional they look. So pretty (I've been going through your archives this morning). If I won, I'd choose the custom mix. Sounds delicious! Thanks and I added you to my favorites! Oh Glory, I do love me some See's Candy. I grew up on the West Coast and moved to Texas at age 18. Every time my mom comes to visit she grabs me a box of Nuts and Chews at LAX. But my absolute all-time favorite See's treat is the dark chocolate Scotchmallows. Heavenly! I would choose the Dark Chocolate with carmel.... yum yum! Love your blog! I would definitely get custom mix, heavy on the caramel with almonds, pecan buds, and the walnut squares. I have a nut problem. mmmm.... those mints look great - that would be my pick for sure! I LOVE Sees - I'd pick up their divine toffee. YUM! I love the St. Patty's candy! 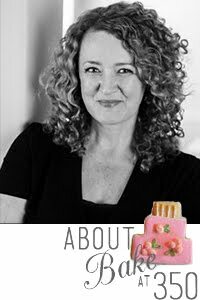 Kristen told us about you and I do enjoy baking--good to "meet" you! I would get the 1 lb select a box and then the peppermint patties. I'd have to pony up a couple bucks of my own. But wel worth it. Anything with coconut! I saw they had Easter Egg chocolates with coconut filling. YUM! i would have to go with the walnut square bars! Milk chocolate nuts and chews! YUM YUM!! The California Brittle for sure! Everything looks wonderful. Yummy ... the shamrocks look delish! I'm visiting from "We are THAT Family". Nuts & Chews without a doubt! :) Well, at least Nuts. Oh, YUM! Can't I just have it all? I think I'd have to go with the custom box so that I could get a little bit of everything (ok, so maybe only 10 things, but still). They have FUDGE! Yum. Fudge. I'm all about the fudge! Thanks for a chance to win! I think the St. Patricks Day Potatoes are fun but the cafe lollipops look yummy. I found your blog through "That Family." The cupscakes and cookies look so delicious. I think I'd have to go with the Dark Chocolate Nuts and Chews! Yummy! i think i might try the peppermints...or the dark chocolate with almonds...or the gold truffle box...well, i could go on for days! i found you through kristen's blog. she's such a hoot! www.theshadowofthecross.blogspot.com and my email is: kenoly2000@hotmail.com Thanks for making this available :O). I love your blog! I have to pick just one thing Chocolate???? Well, If I must-- I pick the Awesome Peanut Brittle Bars. I love peanut butter! Thanks so much for sharing your recipes. All looks SO good- but I LOVE anything with mint & chocolate!!! I would definitely get a "custom mix" to get a little of everything. I would choose a custom mix because I can't decide on just one type. I would have to get some more lollipops.My friend sent some with a package for my son during Christmas,she is an angel,and I had to try one.YUMMY!!!! Oh yum! 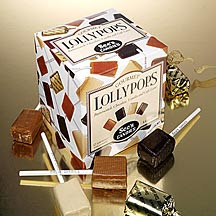 I just discovered Sees lollypops at Christmas and I'd LOVE a box all for myself. a box of lollipops and peanut brittle bars... i grew up with sees and everytime i see their candies i think about my childhood and how awesome it was! Oh, definitely dark chocolate nuts and chews! Just found your blog and it looks like so much fun!! I'll be back for sure! I love the dark chocolate peppermints! I love any dark chocolate really...I'm not picky! Oh, my. The only shred of a silver lining when my beloved aunt and uncle and my five cousins moved to Sacramento was finding See's! I'm not sure what I'd choose but lots of dark chocolate would be involved. Got here from Kristen's blog...and am in total awe. 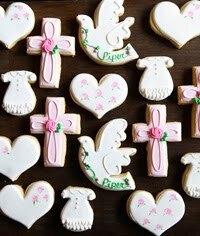 Love your photos and the cookies look great! Can't wait to come back and see more. Wow -- I guess I'd have to choose the assorted mix, because everything is so good, and the assorted mix has never let me down. Do I have to pick just one?! Too hard! I'll take it all. :) Truffles are probably my favs. What a delicious giveaway!!! Oh... walnut square bars or pecan buds. I LOVE nuts in chocolate! I just found your site, I am a reader of We are THAT Family! I hope to learn a lot from your blog :) Oh yeah LOVE the chocolate giveaway!! Toffee-ettes for sure. Thanks. 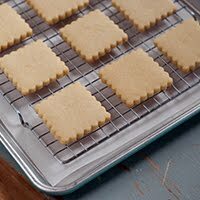 Your cookies are beautiful, I just found your blog. Dark Chocolate Bordeaux. Yum! Thanks. Milk chocolate buttercreams - yum! Although actually, it ALL looks good. Thanks for such a yummy giveaway! For the longest time, I'd only ever heard of See's from my East Coast friends/former roomates. Then watching my favorite channel, Food Network, I caught an episode of UnWrapped featuring See's. I finally found a store in an Albuquerque and will gladly make the 203 mile trip to hand pick every delicious truffle I want! I might also get a box of those suckers for the candy buffet at my wedding! *I need spell-check on comments, the last was was horrible. It was so difficult looking at all those pictures of chocolate and trying to choose. . .I think the truffles assortment, or toffee. YUM! I love your blog! My parents had bakery when I was a kid. Almond Royals sound so yummy! I'd get the 1lb. custom mix...we love that. I adore sees candies. thanks for a great giveaway! Yummmm. Probably Milk Chocolate Nuts and Chews. We lost our See's here, so I'm happy to find it online! I'm new to your blog. Looks like a great one! Owww how delicious! I would go for the milk chocolate nuts and chews... they look superb! all of them do! Definitely the dark chocolate mint patties. My absolute favorite combo ever! Bordeaux...oh man, I love those. Any mix with Bordeaux in it. And some lollipops for my mom, those are her fave. See's chocolates are the way to my heart. If you don't believe me check out my blog post from Valentine's Day at www.mikeandshelleyhendrickson.blogspot.com. Pick me pppppplease! I love anything Sees. Especially love the custom mixes that have a bit of everything. I would start with dark chocolate bordeuxs and add in some Bridge Mix. You can eat an entire handful and not have the same taste sensation twice. It is HEAVEN!